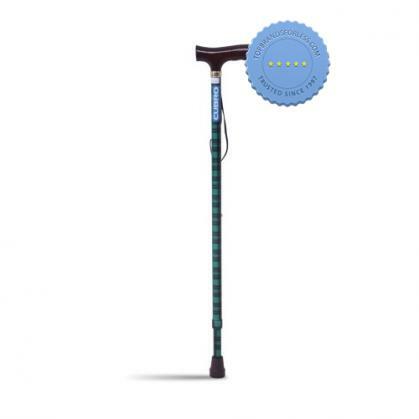 Walk with style while ensuring support and stability with Strider Fashion T Hand Tartan Walking Stick. It comes in an aluminium shaft with wooden handle to assists you when walking, recuperating from injury or due to old age. Place the stick on the opposite hand parallel to the injured limb. Slowly move the arm with the walking stick and the weaker leg together forward. Start slowly until you are able to get the rhythm from the hand with the walking stick and the injured limb. The weight is distributed evenly between the weaker limb and the stick. Continue repeating until walking with the stick becomes natural. Make sure to read the label prior to use. Use only as directed. For external use only. Not to be ingested. Avoid contact with the eyes. Store in a cool dry place, away from direct sunlight and moisture. Keep out of reach and sight of children. Check the ingredients to determine if you are sensitive to any of the contents. Do not use beyond expiry date. Discontinue use if rashes, redness, itchiness or irritation is experienced.